CoAcro Movement is an embodiment based human capacity building process. It is a collaborative experience which develops communication, trust, and innovation within individuals, groups, teams, and mergers. Ripe with co-creation and problem solving, it blends partnered and group movement exercises with critical reflection and dialogue. CoAcro Movement is accessible to almost any body, at any life stage. The transformational, kinetic process is intentionally malleable such that it can be tailored to a specific group and address a range of unique dynamics. Sessions are offered as half-day and full-day options, however, the format and duration of sessions are highly customizable to the needs of the client. Given adequate floor space, CoAcro Movement can take place directly in the work environment. Consider CoAcro Movement if you are a member of a group/team or if you are a facilitator seeking a kinetic & creative component to your offering. What sort of movement happens during a session? Participants will be invited to engage in movement practices ranging from solo warm-up to basic weight sharing to safely lifting each other into the air. Ok, but my group members are not athletes. Is CoAcro Movement suitable for them? Yep! Grounded in Yoga and Acrobatics fundamentals, CoAcro Movement ensures that exercises are appropriately matched to the physical abilities of the participants. The wide variety of available movements within the process allows the facilitator to effectively match exercises to the mental and emotional needs of the participants/team. Which areas of development does CoAcro Movement explore? The following inevitably arise, but we can focus on the area most important to you & your team. How much time does CoAcro Movement take? Sessions are typically a ½ day (3 hours) or full day (6 hours). Multiple sessions in a month or year is common. Does CoAcro Movement require any equipment? 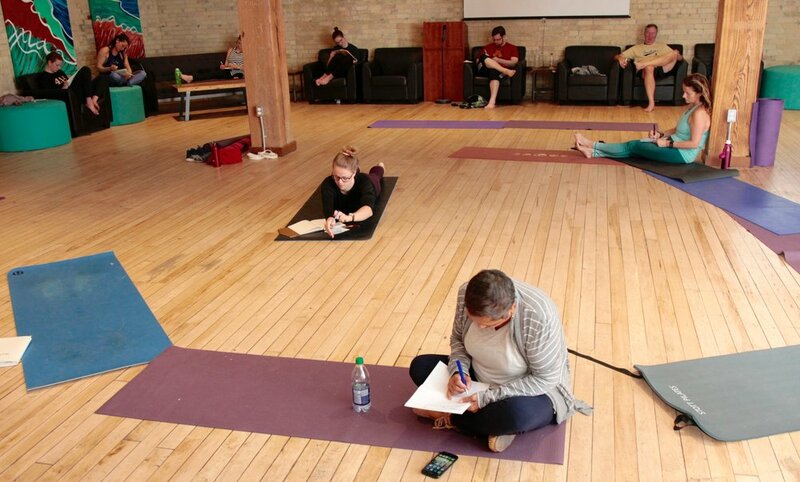 1 Yoga mat per 3 participants, which are provided to workshops local to London, Ontario. What is the pricing of CoAcro Movement? Pricing varies based on the needs of the group, the size of the group, the frequency of sessions, etc. Get in touch to discuss!